Oh, the classic double exposure, a favorite of small town photography studios for years. Sure, the library backdrop makes the subject appear intellectual, the split rail fence or wagon wheel brings out the subject’s folksiness. But the only way to truly capture the multifaceted Earl Meyers is with the double exposure. Here’s terrestrial Earl smiling right at us. “Don’t I remind of you Lamont from Sanford and Son?” he might be asking. 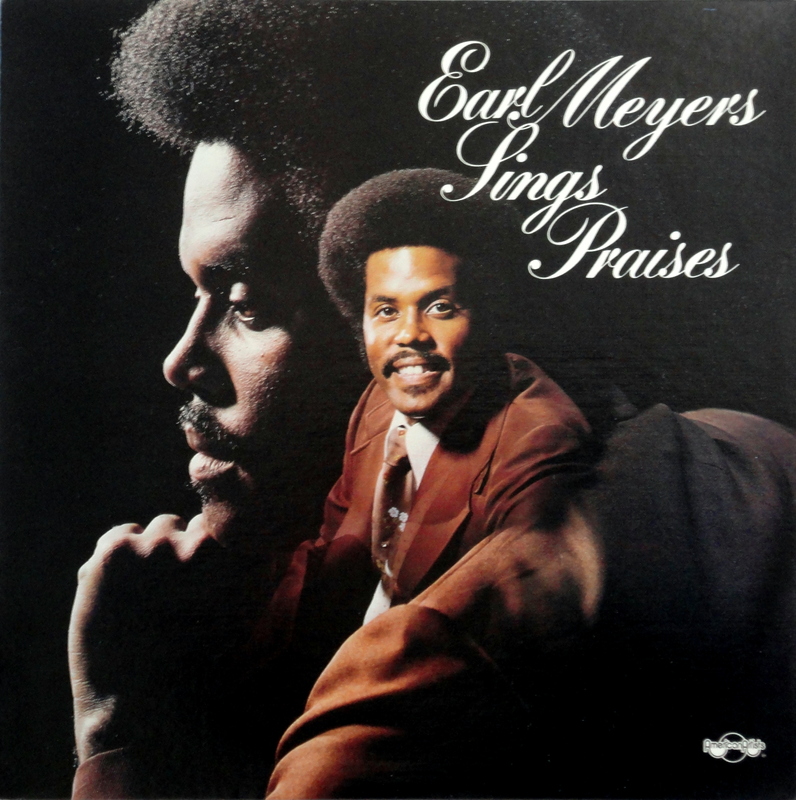 Keeping his ‘fro tight, his corduroy suit tighter, and his Jesus praisin’ at its tightest, ladies and gentleman I give you (and the Bad Album Cover Hall of Fame) Earl Meyers. Oh, the double exposure is a true classic. I like to imagine that metaphysical Earl is pondering the never ending question…Where did I leave my keys? Then terrestrial Earl turns to us and smiles…Aw, they’re in the tiny Pyrex dish by the front door, just like always! Being Earl is complicated, but it makes finding your keys easier.